It can be a frightening time in a parrot caregiver’s life when a bird falls ill or an accident occurs. Quick actions can mean the difference between life and death by saving precious minutes. Knowing which emergency situations are commonly seen by veterinarians, assembling a First Aid kit for your home, and having a back-up plan when your own vet is unavailable are just some of the ways to prepare yourself for emergencies. 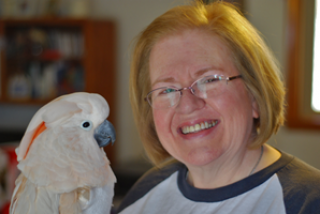 Dr. Cook is here with us today to review the importance of being prepared before a crisis occurs, and to suggest prevention tactics for keeping companion parrots healthy and safe.